Next story in Men's health Two HIV patients now virus-free. Is this a cure? 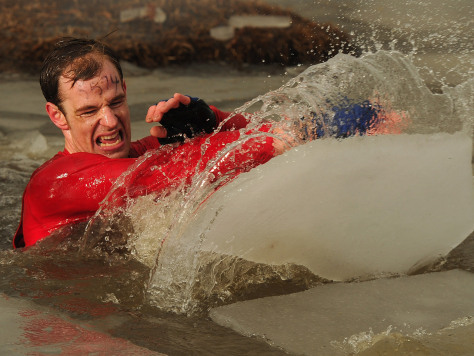 A competitor moves ice from his way as he wades through muddy water during the Tough Guy Challenge endurance race on January 27, 2013 in Telford, England. Ultra-rugged workouts like mud runs will get you into shape-- if you don't get hurt.